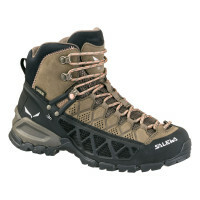 GORE-TEX® technologies are well known for providing long-lasting, comfortable weather protection you can trust from your head down to your toes. 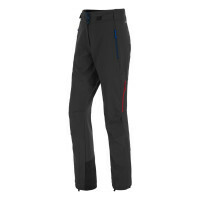 The technology is based on an extremely thin membrane, which is at the heart of all GORE-TEX® products. It has a microporous structure: its pores are too small for rain to penetrate, yet big enough for perspiration to pass right through. 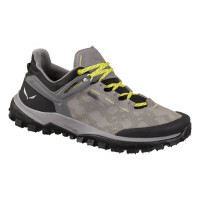 The membrane is bonded between an outer fabric and a high-performance lining, creating a GORE-TEX® laminate. 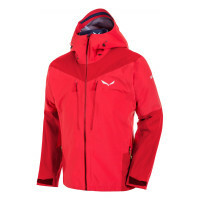 To put it simply, GORE-TEX® is a durable, breathable, waterproof and windproof fabric found in a number of SALEWA®’s jackets, trousers, footwear and accessories engineered specifically for progressive mountaineers’ adventures. 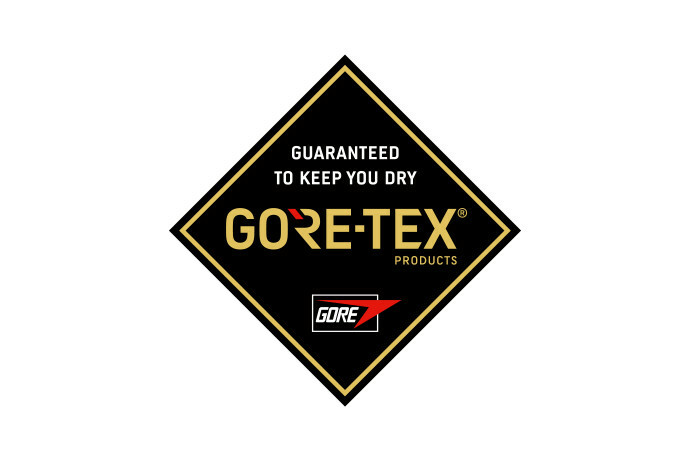 Click on the GORE-TEX® logo and discover more about this technology! WHY DOES SALEWA USE GORE-TEX® TO CREATE ITS OWN PRODUCTS? Many SALEWA® products are made with GORE-TEX® technology. 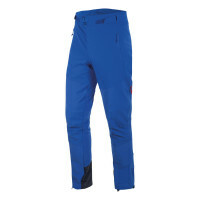 This membrane is particularly versatile for our mountaineering and alpine trekking collection, because it offers outstanding performance when it comes to water resistance and breathability all year round. 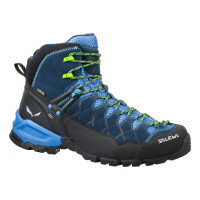 With the use of GORE-TEX®, we can design and engineer products that are lightweight, waterproof and robust, even for the most demanding mountain activities. 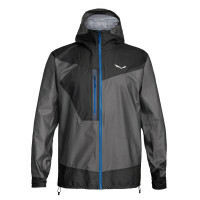 In our Speed Hiking jacket we included the new GORE-TEX® membrane called GORE-TEX® Active. This new membrane was built to have extreme breathability and is ideal for this highly aerobic, intense and demanding activities of all kinds. 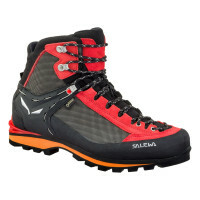 In addition to our jackets and trousers, most of SALEWA®’s shoes also utilise GORE-TEX®. 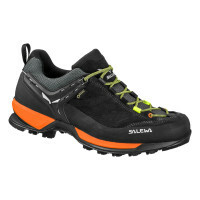 We use GORE-TEX® Extended Comfort for our speed hiking, trekking and tech approach shoes. Thanks to its non-insulated construction, it is the ideal solution for people who value outstanding climate comfort and heat release in moderate and warmer conditions. 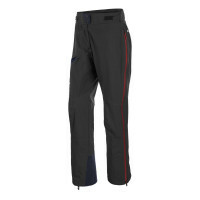 GORE-TEX® is a great tecnology for intense activities or everyday use, as well as the indoors or outdoors. 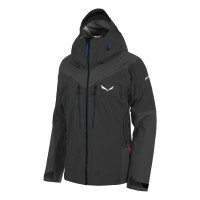 GORE-TEX® has you covered for any environment you put it in! 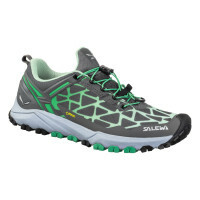 Any order including a SALEWA® jacket, trousers or shoes made with GORE-TEX® technology will receive a free* Granger's Performance Repel or Granger’s Footwear Repel to help keep yourself dry and extend the life of your SALEWA® product! *promo valid until 30/6/2018 and until stock last. Max 2 freebies per customer. 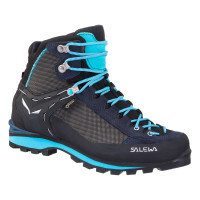 For every order including a SALEWA® jacket, trousers or shoes made with GORE-TEX® technology we will give you a free* Granger's Performance Repel or Granger’s Footwear Repel to keep yourself dry and extend the life of your SALEWA® product! *promo valid until 31/5/2018 and until stock last. Max 2 freebies per customer. 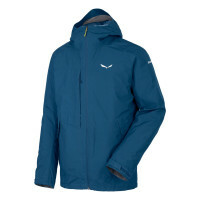 Put simply, GORE-TEX® is a durable, breathable, waterproof and windproof fabric found in lots of SALEWA®’s jackets, trousers, footwear and accessories engineered specifically for progressive mountaineers’ adventures. 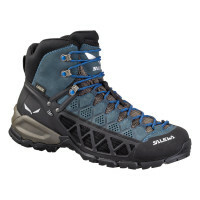 Many SALEWA®’s products benefit from GORE-TEX® technology. This membrane is particularly versatile for our mountaineering and alpine trekking collection, because it offers outstanding performance regarding water resistance and breathability all year round. With the use of GORE-TEX®, we can design and engineer products that are lightweight, waterproof and robust, even for the most demanding mountain activities. 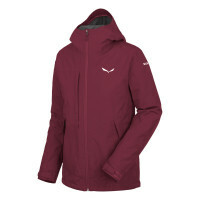 We included GORE-TEX® new membrane, GORE-TEX® Active, in our Speed Hiking jacket, which has been built for extreme breathability and is ideal for this highly aerobic, intense and demanding activity. 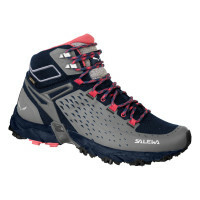 Most of SALEWA®’s shoes also benefit from GORE-TEX®. 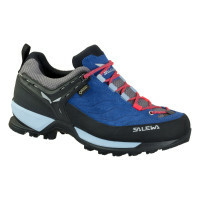 We use GORE-TEX® Extended Comfort for our speed hiking, trekking and tech approach shoes. Thanks to its non-insulated construction, it is the ideal solution for people who value outstanding climate comfort and heat release, especially in moderate and warmer conditions. Great for high-output activities and everyday use, this technology is perfect for constant changes between indoors and outdoors, standing and walking, working and leisure time. 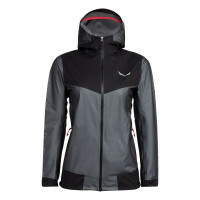 Zip the front closure, pockets and pit zips completely. Wash your garment in a washing machine on a warm cycle (40º C) using a small amount of liquid detergent. Rinse twice and minimise spinning to reduce creasing. Do not use powder detergents or any products that contain fabric softeners, conditioners, stain removers or bleach, as they will affect garment performance. Do not wash with heavily soiled clothing. Line dry your garment, or tumble dry it on a warm, gentle cycle. Once it is dry, tumble dry your garment for 20 minutes or iron the dry product on gentle setting (warm, no steam) by placing a towel or cloth between the garment and the iron. This will help reactivate DWR treatment on your garment’s outer fabric. Before washing your SALEWA® shoes, be sure to follow the garment SALEWA®'s instructions to ensure the best result. 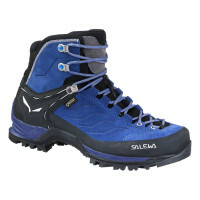 Clean the exterior of your SALEWA®’s shoes with a cloth or brush and lukewarm water. Do not use chlorine bleach as it may damage your footwear. 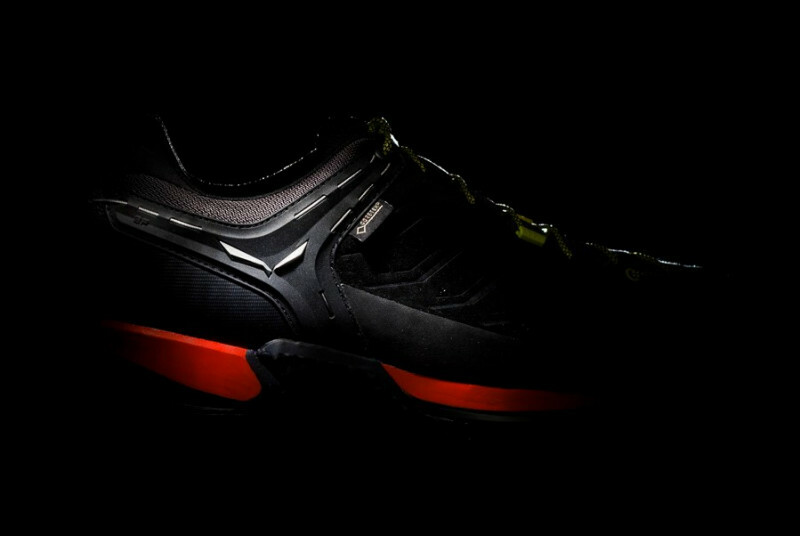 Shake out sand, gravel and dirt from inside the footwear. To ensure a complete cleaning, remove and shake out the foot bed too, in order to remove the dirt settled under it. After carefully cleaning your shoes, dry them naturally at moderate temperatures. 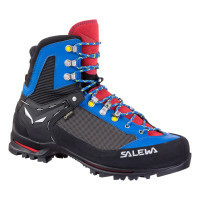 Be careful not to put boots too close to a direct heat source or in too hot a room as it could damage them. Convection-style boot dryers work well too. WHAT IF MY PRODUCT IS NO LONGER WATER-RESISTANT? 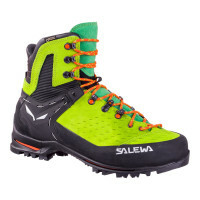 SALEWA® engineers products for the needs of passionate mountaineers. We do not only worry about producing progressive pieces of clothing but we want to make them last. Unfortunately, time, dirt, and even regular wear can all inhibit a garment’s ability to repel water, leaving you wet, cold and uncomfortable. All water-repellent clothing and equipment needs regular maintenance if it has to continue working at its best. Washing them regularly with special products can help, but even the cleanest fabric will eventually need a fresh water-repellent treatment. Granger's Performance Repel is a high performance spray-on product designed to restore the water-repellent finish found on all outdoor and technical clothing that does not require a washing machine – or heat activation. 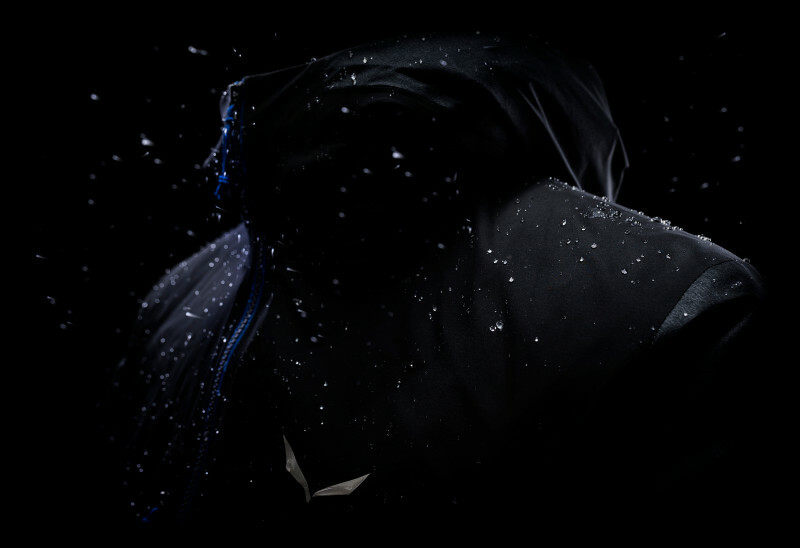 Based on a fluorocarbon-free technology, Granger's Performance Repel restores the water-repellent finish to your jackets and trousers, leaving you fully protected outdoors. Ideally applied to damp garments, this product sprays on easily and provides maximum protection. The spray is perfect for use on all outdoor and technical fabrics, and is perfect for restoring the water-repellent finishes found on all GORE-TEX® garments. Moreover, it is Bluesign Certified Environmentally Friendly and it does not add any scent or optical brighteners to the products. Granger's Footwear Repel has been designed to help prolong the life of your boots by restoring their water-repellent finish and protecting them from rain, stains, and spillages. 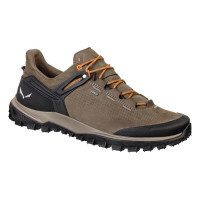 Safe to use on all types of footwear – including those made from leather, suede, nubuck, and fabric – this product protects without adversely affecting the breathability of shoes or boots. Granger’s Footwear Repel is suitable for use on all types of footwear, and is perfect for restoring the water-repellent finish found on boots with GORE-TEX® membranes. 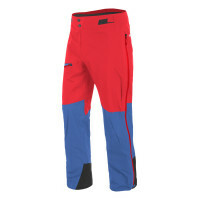 Spray Performance Repel directly onto a cleaned, damp garment from around 15cm away. Hang the garment to dry naturally, or follow the drying instructions on the care label. 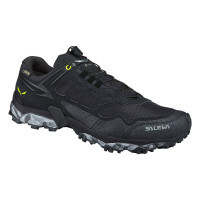 HOW TO CLEAN GORE-TEX® FOOTWEAR? Before washing your SALEWA® shoes, be sure to follow the garment SALEWA®'s instructions to ensure the best result. Clean the exterior of your SALEWA®’s shoes with a cloth or brush and lukewarm water. Do not use chlorine bleach as it may damage your footwear. 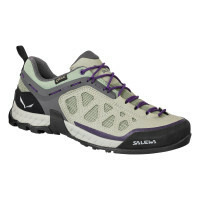 Shake out sand, gravel and dirt from inside the footwear. To ensure a complete cleaning, remove and shake out the foot bed too, in order to remove the dirt settled under it. 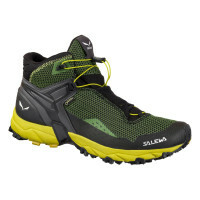 SALEWA® engineers products for the needs of passionate mountaineers. Unfortunately, time, dirt, and even regular wear can all inhibit a garment’s ability to repel water, leaving you wet, cold and uncomfortable. All water-repellent clothing and equipment needs regular maintenance if it has to continue working at its best. Granger's Performance Repel is a high performance spray-on product designed to restore the water-repellent finish found on all outdoor and technical clothing that does not require a washing machine – or heat activation. The spray is perfect for use on all outdoor and technical fabrics, and is perfect for restoring the water-repellent finishes found on all GORE-TEX® garments. It is Bluesign Certified Environmentally Friendly and it does not add any scent or optical brighteners to the products. 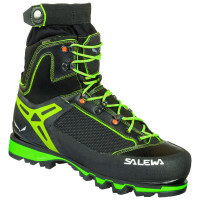 Footwear is often the most hardworking element of any outdoor kit – and it needs to be regularly maintained as a result. 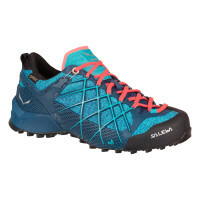 Unfortunately, the mud, muck, dirt, and dust acquired during an adventure or hike can have a detrimental effect on your footwear’s performance.